VALIDATION TIME - For how many time is available MilanoCard and its services? MilanoCard includes several services and especially free admission to every kind of Milan public transports in Milan. MilanoCard 24h includes 24h of free access to the public transport from the date you chose during confirmation to the same hour of the next day (for example: first use 11.00am Friday->expiration 11.00am Saturday) . MilanoCard 48h have 48h of free Milan public transport from first validation to the same hour of the third day (for example: first use 11.00am Friday – expiration 11.00 am Sunday). MilanOCard 72h includes 72h of free MIlan public transport from first validation. MilanoCard is valid 1 month in Italy (Rome, Venice, Florence and cities of Lombardy. The time of use starts from the first stamp on public transport. TRANSPORT - Which transport are included in the MilanoCard? Every kind of public transport in Milan Urban Area are included in MilanoCard like Tram, Buses, Metro/underground, city Trains “Passante” are included. MilanoCard includes also the Linate X73 Bus which connects Milan to Linate Airport. Please remember to validate your travel card every time that you use a transport in the city. The regional train out of Milan and the last stop of Milan red line of the metro “Rho-Fiera” are not included. CONFIRMATION EMAIL - Where can I set the info about my arrival? After the payment you will be redirected to the confirmation form, where you will be able to set your arrival date. If you have already done the payment but you didn’t find the confirmation page, don’t worry. Every 30 minutes (for 2 times) our booking center resend an e-mail with a link where you can put all the info about your arrival, like date, hour and offices (Malpensa Airport Terminal 1 and Terminal 2, Orio al Serio Airport, Linate Airport and Central Railway Station). Please fill out the form that you will find in the link and your order will be complete! If you have some problem, write at info@milanocard.it. MILANOCARD APP - How does it work? Download MilanoCard APP for free. After the payment you will receive a confirmation email with details about your BOOKING ID. MilanoCard starts from the date you chose during confirmation. FREE ACCESS - How can i get free access to the top attractions with formula Run4FREE? To have the Free access you have to purchase online MilanoCard and then download the special invite at https://www.milanocard.it/project/free-attractions-in-milan or showing your MilanoCard APP. 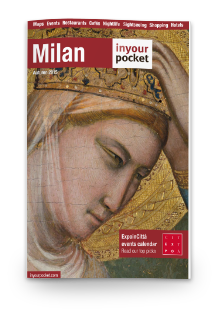 Show the MilanoCard + the Invite at the participant service, every day there are a minimum of 2 and a maximum of 8 free access dedicated to the MilanoCard’s Holders. So, if you are between this amount of access you will be able to profit of the free access. PAYMENT AND CONFIRMATION PROCEDURE- How can I make the payment online and confirm the purchase? You can make the payment with your credit card or with your paypal account. The payment system is provided and managed by PayPal but you can make the payment also just with your credit card and without a registration on PayPal. After the payment you will be able to set arrival date. Is required just one name, is not important how many cards did you buy. The name is just for an internal report. TRANSPORT - How can I travel with public and private transport in Milan and Italy? MilanoCard is personal and not transferable, is valid on every public transport in Milan Urban Area (metro, tram, bus, city train) from the first validation – at the machines that are located at the entrance of the metro or on the trams and buses – to the same hour of the third day, in the next 72h, for the MilanoCard 72h, for 48h, for the MilanoCard 72h and for 24h for MilanoCard 24h. Milan public transport are available from 05.00 am to midnight but this is an average, it depends on the line. Metro lines work from 06.00 am to midnight. Please consider that with MilanoCard you have also 1 ride (value 12€) with luxury car and private driver for free, making reservation with UBER APP and using the promo code that you will find into the MilanoCard APP or ask at info@milanocard.it. At your arrival at Malpensa Airport or in center of Milan you can pickup your MilanoCard. MILANOCARD FOR ITALY - How can I use the card in other cities if I arrive there before Milan? If you arrive in other italian cities before Milan and want to get the benefit that MilanoCard offers in this other cities, please download and print the attached voucher and show it at the services affiliated with also the receipt of payment! Enjoy Italy with MilanoCard! When you will arrive in Milan, you will be able to collect your cards as reported in the confirmation email. Once purchased is not possible to cancel or change details of your reservation. No refund will be approved.